The latest update to Instagram apparently has caused a vital feature to stop working. 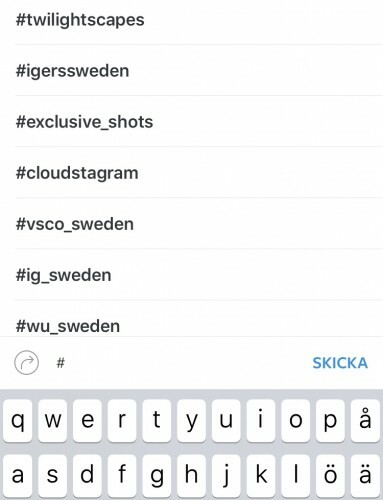 Normally when you post a photo or a video and then want to add some hashtags, Instagram would auto-complete the hashtags with suggestions from tags you’ve previously used. If I type #c in a comment to one of my photos, Instagram would suggest #clouds #cloudscape #cloudstagram if I have used them recently. Or other examples if I type # and another letter. This makes it easy to add more tags and it also prevents misspelling, which is easily done if you add several hashtags. Now however, this feature is not working. 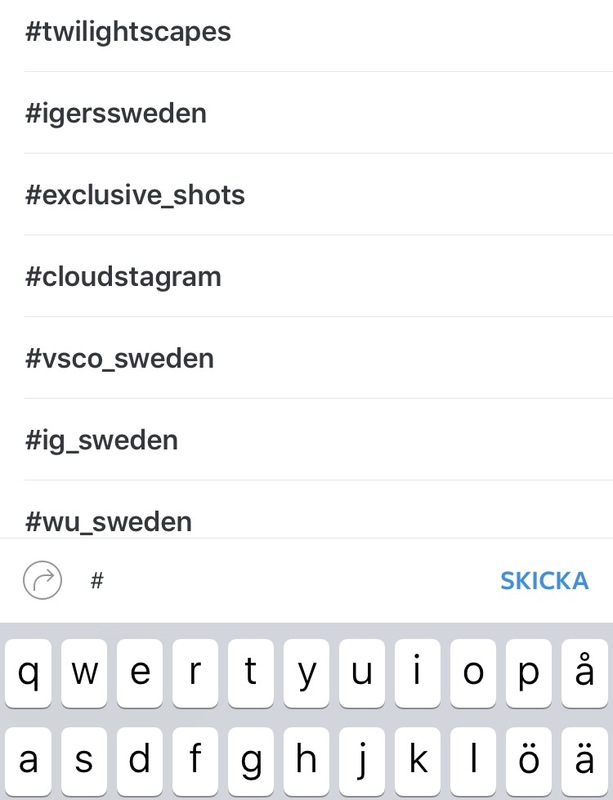 Instagram won’t autofill any hashtags if you do like I showed above. Instead, the app is now suggesting ALL recently used hashtags if you start typing #. And this is no good because you might want to add only tags related to black and white photography if you post a bnw photo, so now you have to scroll through all of them to find the appropriate ones. And not only that, you can only add one at a time from the suggested list, so this makes it all more time consuming. Hopefully it is just a bug and I really hope Instagram will restore the autofill feature to what it was before the last update.